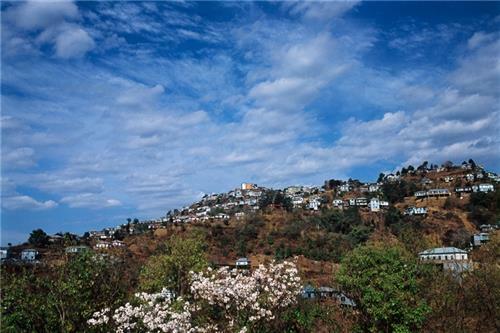 Champhai is a commercial town located in the state of Mizoram. The town also serves as headquarters of Champhai district. Champhai is located near the Myanmar border. As it is located near to the Indo-Myanmar border, Champhai is also an important business hub for India and Myanmar. Champhai is also a famous shopping destination for imported goods. Champhai is also an important tourist place of Mizoram. Champhai is one of the oldest places in Mizoram which the native people have occupied. The history of Champhai traces back to the British period. The first Mizo People who came from the east during 1500-1800 AD to Mizoram were Fenngo clan. The town also served as the headquarters of Lalbura Sailo, a Mizo Chief against whom the Expedition of the British during of 1871-72 was directed. During the British period, Champhai also received the status of a fort. Champhai is located near the Indo Mynmar border at an altitude of 1678 meters above the sea level. The town covers an area of 3,185.83 square kilometers. The town lies between 23.456oN latitude and 93.329oE Longitude. The climate of Champhai is moderate. The temperature during the winter varies from 10oC to 20oC and during the summer the average temperature lies between 15oC and 30oC. The average annual rainfall here is 1,814 millimeters. Champhai’s economy mainly depends on agriculture. The two main agricultural products are wet rice and grape. It is also an important trading trading center of Mizoram with commodities like electronics, silverware and clothes imported from Myanmar through the trading post in Zokhawthar. Champhai town is located in the district of Champhai. The Deputy Commissioner is the head of the district administration. The office of the DC is located in the Champhai town. The office is divide into different branches that looks after the district administration. The Branches include Arms Branch, Election Branch, Planning & Development, Judicial Branch, Stationery Branch, Relief & Rehabilitation and Land & Building. Click here to know more about Champhai District. Champhai is also one of the popular tourist destinations in Mizoram. The town offers a beautiful of the the blue Myanmar hills. Champhai is not just only a fast developing commercial town, but also one of the unexplored tourist places in India. The Myanmar hills bordering the town also enhance the beauty of the state. Champhai tourism is mostly famous for its monuments, ancient relics, memorials and wildlife. 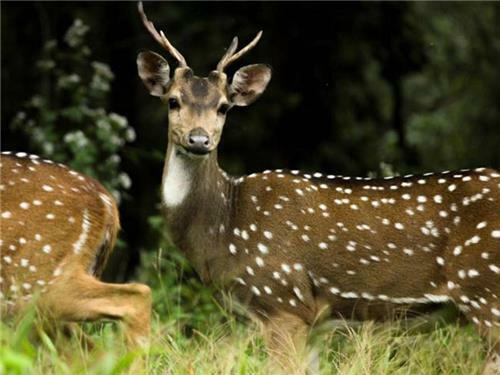 Some of the famous tourist places in Champhai include RihDil, Kungawrhi Puk, Lianchhiari lunglentlang, Murlen National Park and Thasiama Seno Neihna. Click here to explore more tourist places in Champhai. Champhai is a small town in the state of Mizoram in Champhai District. Being an important town and place in Mizoram, Champhai also provides all the required services to its people like banking, postal and electricity services. Champhai has different banks and financial organizations that offer services to the people here. Largest commercial banks like the State Bank of India also have branches here. The banks also provide ATM services for the easy transaction facilities for the people. Following are the locations of the banks across the Champhai town. The town of Champhai also offers postal services to the public. The postal services are looked after by the Indian Postal service. The postal services of any place are a major sector as it is not only a medium of communication but also are major source of interaction of people living around the world. Although there are major source of communication, but yet the postal services is an important communication form. Mentioned below is the list of post offices located in Champhai along with their contact details. Electricity is an important utility service provided to the public. The service is provided by the government across town, district or state. The Power & Electricity Department was formed in the year 1975. The Department manages all the services related to generation, transmission, distribution of electric power supply in Mizoram. The department also looks after maintenance, development and promotion of Power Distribution Network that includes provision of adequate and reliable power supply within the state of Mizoram. The Champhai town also has few hospitals which provide emergency medical service to the public. Below are mentioned the names of the hospitals located in Champhai. Champhai is located about 192 kilometres from the capital city of Aizawl. There is regular government as well as private buses from Champhai to any part of the state. There are also taxis and sumo service available for the Public from the town to anywhere in the state and neighboring states as well.